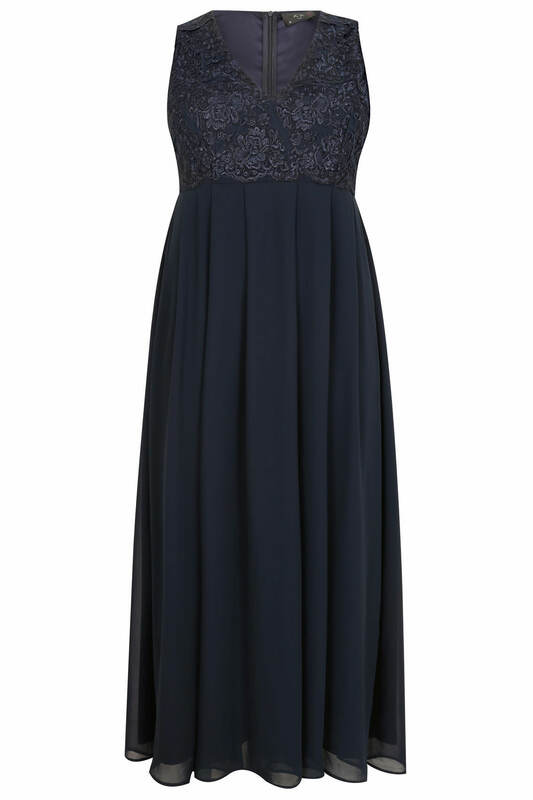 AX PARIS CURVE Plus size navy sleeveless maxi dress with lace detail to the bodice. 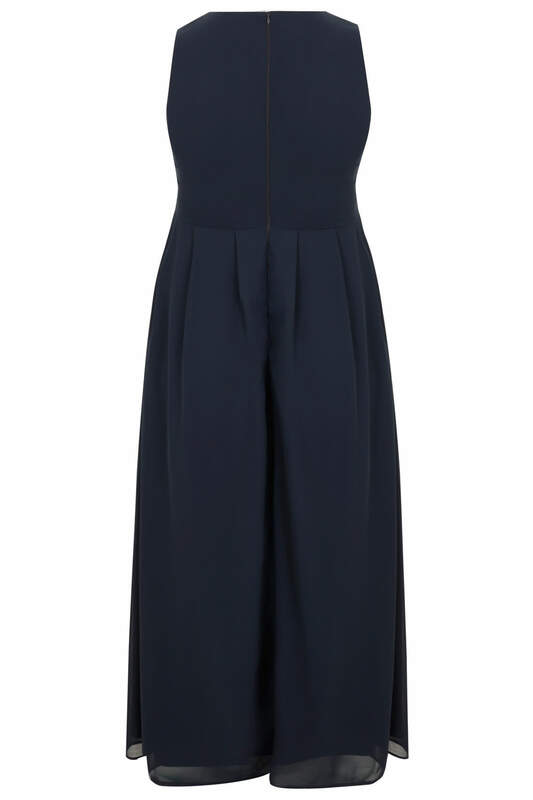 Featuring a v-neckline and zip close to the back. Made from a floaty chiffon fabric with an inner jersey lining. This ultra chic dress is perfect for any special occasion, party or wedding. Style with strappy heeled sandals and a glam clutch for a super chic look.